Easter made easy: Springtime recipes, eggcellent Easter ideas and a Boar’s Head Sweet Slice Ham giveaway! 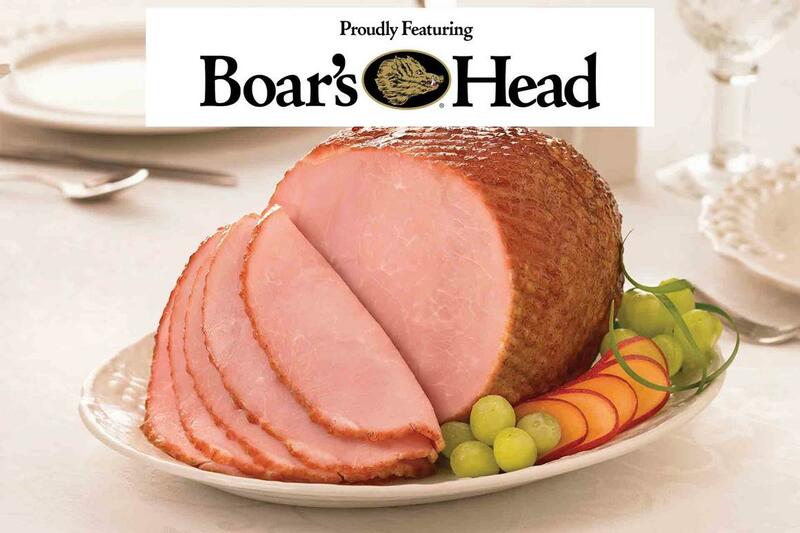 Boar’s Head Sweet Slice Ham Giveaway! We’re springing into Easter at Nugget Markets! Just in time for your holiday feast​, we’re giving away 12 Boar’s Head Sweet Slice Hams. Always tender and juicy, Boar’s Head Hams are the perfect option to take center plate at your holiday get-together. Enter to win today, and keep reading for more Easter inspiration! Why should the kids have all the fun? 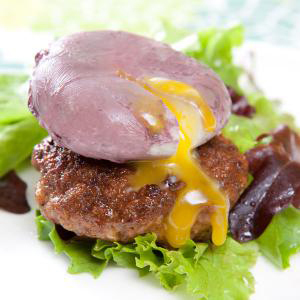 In the spirit of dyeing Easter eggs, try poaching eggs in red wine to create a stunning presentation and a depth of flavor that complements the ​luscious lamb crepinettes. 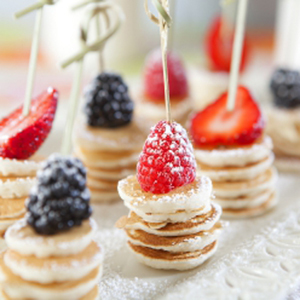 Make brunch beautiful with fresh berries and elegant miniature pancake ​stacks. Easy to make and to eat, these sweet bites are ideal for a delightful brunch of hors d’oeuvres. 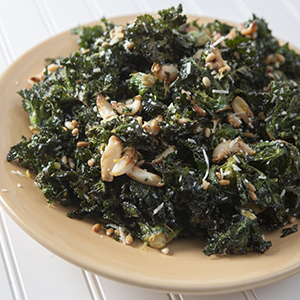 Get your your greens with these delicious Kalettes with Garlic! The little flavor explosions will have you craving your next bite after the very first taste! 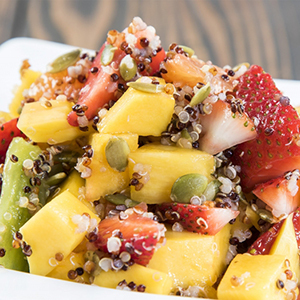 For a sweet springtime side to your brunch, lunch or dinner, this bright, tart and nutty tropical salad makes a great addition ​to yogurts or a healthier dessert option. 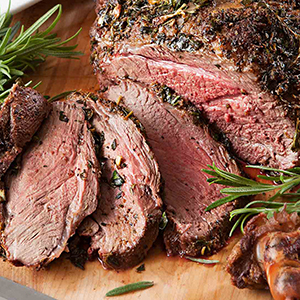 Whether you’re looking for a ham, leg of lamb or something a little different, visit our friendly butchers to preorder your protein in advance! 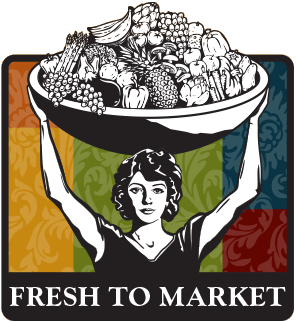 Please allow meat 72 hours and seafood 48 hours to ensure the freshest cuts and quality. 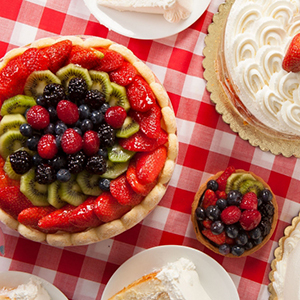 The latest springtime sweets from our bakery are in season now! Made fresh in-house with the finest seasonal fruit, our fresh fruit tarts and cakes are the perfect addition to a lovely brunch, spring picnic or any special occasion! 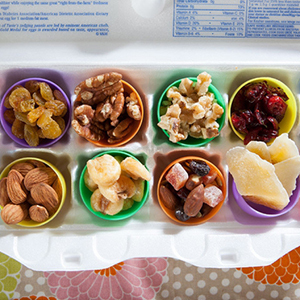 Send the kids on a healthier hunt this Easter by filling your Easter eggs with some delicious and nutritious selections from our bulk section! 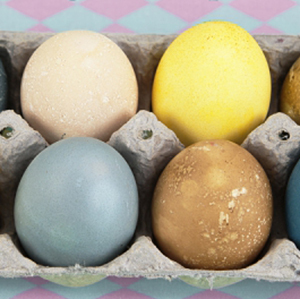 If you like all the colors of Easter eggs but not all the chemicals, try making your own dyes using everyday foods from your pantry! Have fun exploring the many hands-on activities that will be offered with animal and environmental conservation organizations. 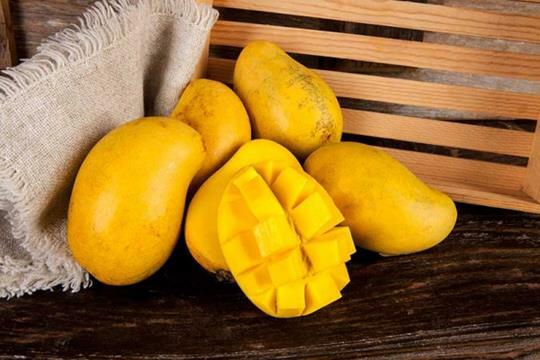 Often called the champagne mango or honey mango, this smaller kidney-shaped mango is a favorite this time of year. It’s become much more popular due to its buttery smooth flesh, small pit, and super sweet flavor. You will know it’s ripe by its solid yellow color and soft exterior. However, we suggest that you let them begin to wrinkle just slightly for the best flavor. If you buy them green, store them at room temperature. Once yellow, they can be stored in the refrigerator until ready to eat.